Art and wine have a long history together. Some even consider certain wines to be art, while others enjoy the art on the label of wine. 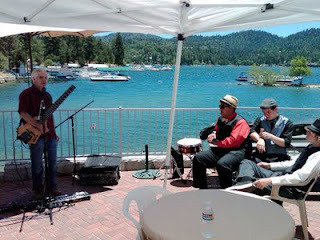 This weekend, I once again attended the Lake Arrowhead Rotary Art & Wine Festival. This was the 29th year the local Rotary Club has sponsored this event. 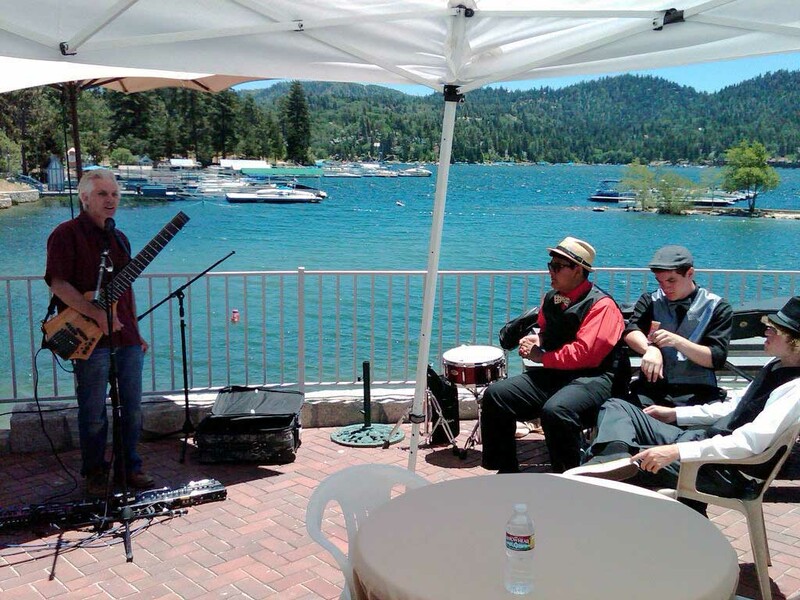 It was located on the beautiful shores or Lake Arrowhead, at 5100 feet in the San Bernardino Mountains of Southern California. The weather was perfect for the event. A slight breeze in the morning, which calmed by the afternoon, made the mid 70 degree sunny skies perfect for a day by the lake, sipping wine. I tell you, I live in a great place up here....and we're so close to everything that Southern California offers. We're only two hours to the beach, two hours to San Diego, and hour and a half to Palm Springs, and three hours to Las Vegas. We truly are in the "center" of Southern California...but it feels miles apart. 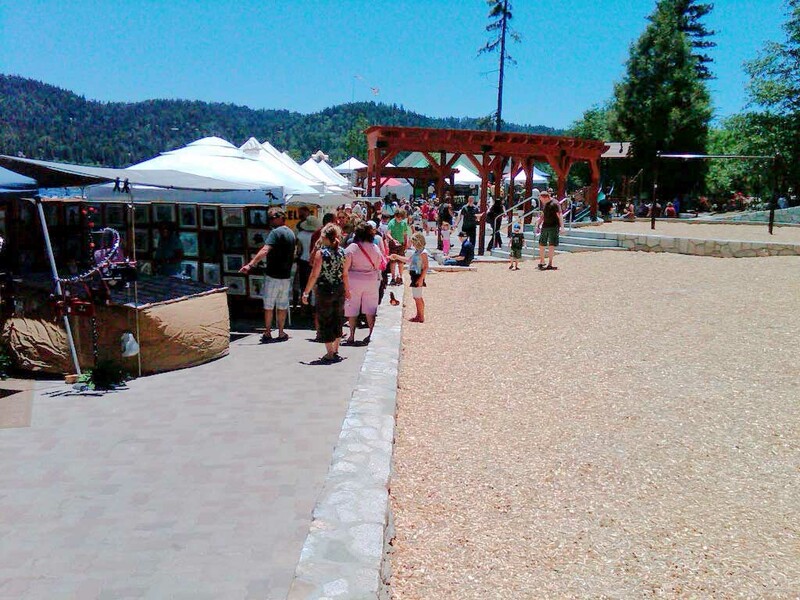 Over 50 artists come from all over the Southern California (and some from as far away as Sedona and Las Vegas) spent a weekend in the mountains. 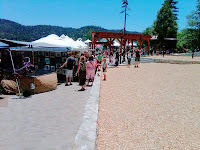 There were artists of all types: ceramics, photography, water color, jewelery, woodcarving, and of course, there was wine. The Rotary Club set up tents with three levels of wines, and poured based on the number of tickets your redeemed. There also was the "VIP Tent". This was where I spent my time pouring wine with winemakers and distributors. Those who paid the $50 VIP tasting fee received generous pours of over 25 different wines, and were served food catered by the local Lake Arrowhead Resort restaurant, Bin 189. We poured wines from Paso Robles, Sonoma, Napa, Lodi and even Contra Costa County. Wineries included: Cass Winery, Kokomo Winery, Tamayo Vineyards, Lapis Luna, and Reynoso Vineyards. 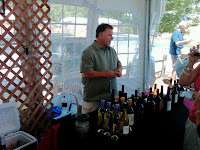 All the wines were supplied by Steve Bowie from Distinctive Vines. 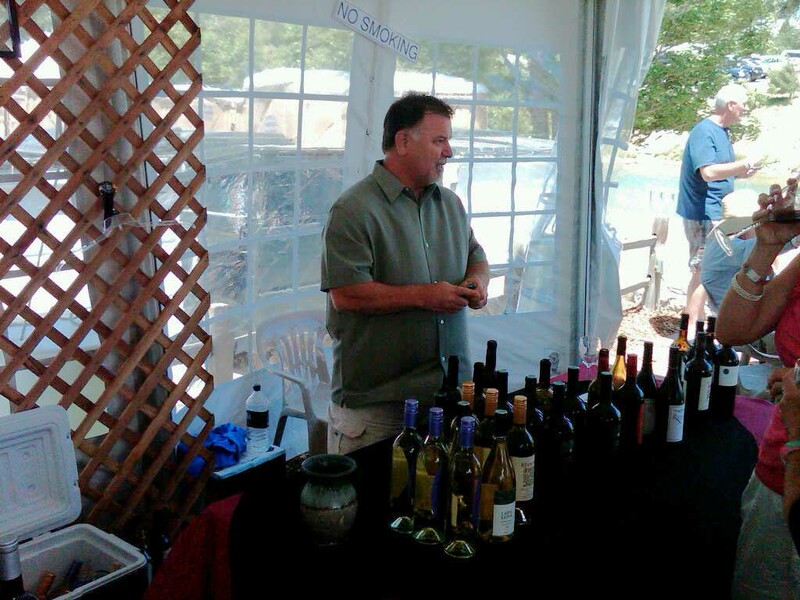 Steve is also the National Sales Manager for Lapis Luna Winery. 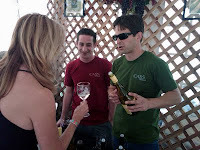 One of the newest wineries, that Steve represents, is Cass Winery, out of Paso Robles. Bryan Cass was there presenting his family's wines, and you could really tell his passion for wine, as I listened to him talk about his wine, and gain a lot of new devotees. Throughout the day, I had opportunities to talk with Bryan, and one of the topics was the latest odd weather they have been experiencing in Paso Robles. In April, they were hit with a severe frost, that could dramatically affect this years' harvest. I asked how he felt they survived the frost, and he told me about a full vineyard aspersion system (basically a sprinkler system) that coats the new buds in water and ice, and keeps the frost damage to a minimum. 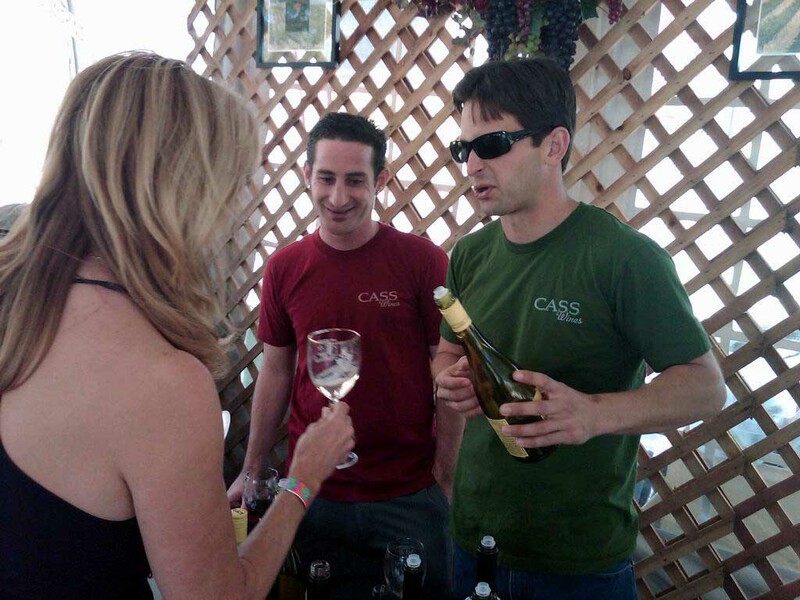 Sounds like Cass Winery is looking good for this year's harvest (so far). I had never tried Cass Winery before, but knew of them. 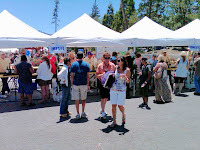 There is a small group of amateur winemakers in Lake Arrowhead, and they have been buying their grapes from Cass. One thing that I always find interesting is which wines people choose to taste. As usual, Chardonnay and Cabernet Sauvignon were tasting favorites, but Malbec appears to be coming on strong with more recognition. The slowest movers were those wines which no one was sure what they were. One wine simply called "Red" and another labeled "Cuvee" barely had any takers. Even when the blend was explained, there were only a few takers. There was only one Rose in the mix, but it still appears that people associate rose with white zinfandel, but once they tried it, they were surprised to find out "it's not sweet". 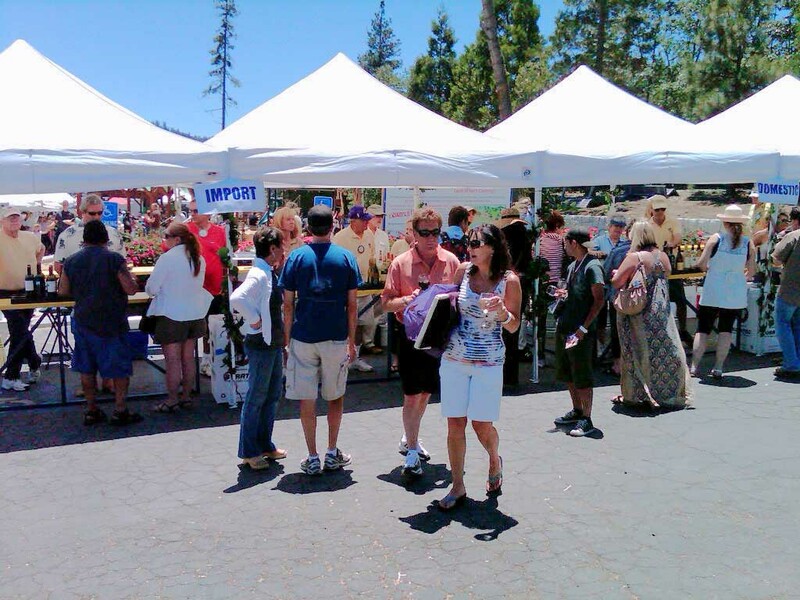 Well this year is over at the Lake Arrowhead Rotary Art & Wine Festival, but it's never too early to start planning for next year. The Festival has traditionally been on the last full weekend on June, so plan on coming up for the 30th version. Spend a day or two on the mountain, enjoy the scenery and friendly mountain residents. You may find (like I did) that art, wine, and mountains are just what you needed. Last week we spent some time reviewing some German terms that you might see on the wine label, or in discussion of wine production. Let's take that to the most logical use...understanding the label on the bottle. German wine labels are probably the most informative labels of any wine on the market, but can also be some of the most confusing. 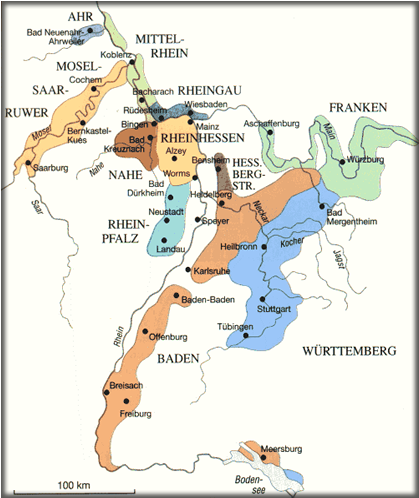 Going back to last week, I mentioned the 13 quality wine growing regions (Anbaugebiete). Think of the Russian nesting dolls (where you have one large doll, and inside that is a smaller doll, and inside that an even smaller doll...and so on), and you'll understand the following: The Anbaugebiete has within it something similar to a district (known as a Bereich). Within the Bereich is a commune or village (Gemeinde). And, within the village, you could have a bunch of adjoining vineyards (Grosselage). A single vineyard is the smallest component (known as a Einzellage). Starting at the top...1)the producer or estate is Weingut Schmitt's Kinder; 2) vintage is 2008; 3) the village where the vineyard is located (identified by the -er suffix) followed by another name (often ending in -berg) indicating the vineyard site. Therefore, the name on the label is the "Randersackerer Ewig Leben". This means that the wine comes from the Ewig Leben vineyard located in the village of Randersacker; 4) Bacchus is the grape variety; 5) Kabinett indicates that this is from the initial harvest; 6) we know this is a Prädikatswein (indicating the highest quality level); 7) The AP Number or "Amtliche Prüfungsnummer" identifies the wine and is required for all QbA and QmP wines. 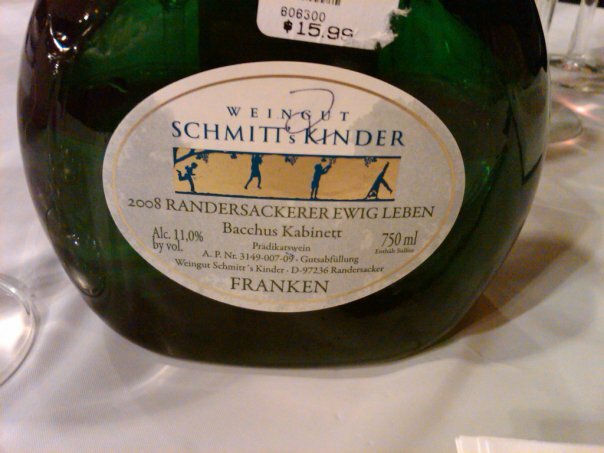 It consists of several blocks of numbers identifying the wine:the testing center, where the wine was approved, the village where the producer is located, the code number for the producer, the producer's application number, and the year that the wine was tested; 8) Franken is the Anbaugebiete; 9) the alcohol content is 11%; 9) this label also says "Gutsabfüllung", which means "producer bottled". Some other terms you may see on a German wine label: "Erzeugerabfüllung", which means "estate bottled". 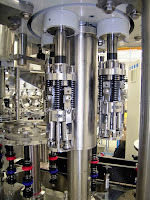 "Trocken" indicates a dry wine without perceptible residual sugar. "Halbtrocken" indicates that the wine is semi-dry. One thing the label doesn't tell you is the quality of the wine. But, in 2006 we started seeing the VDP "Verband Deutscher Prädikats" symbol on the label or the foil cap. This indicates the top level of quality (Germany's answer to France's first growths). All classifying regions use the same logo to label the wines from this quality level. Designation of these wines in Rheingau = "Erstes Gewachs" ; Mosel = "Erste Lage"; and all other regions = "Grosses Gewachs". The biggest "complaint" I hear about German wines is that they are "too sweet". Now that you understand a little better about ripeness (again, refer to last weeks' article) and how to read a wine label, you have a fighting chance to find the style you prefer. Here's a trick..the higher the alcohol level, the less residual sugar (as more sugar has been converted to alcohol). I like the ripe fruit flavors of a Spätlese or Auslese, but I like drier Reisling, so I look for higher alcohol from the producers I trust. My objective is to prove that German wines are worth trying. Don't be afraid of the label or terms. These are some of the finest wines in the world....and they are not all sweet dessert wines. Last week I conducted a wine tasting of Eastern European wines. We tasted wines from Greece, Montenegro, Hungary, Austria and Germany. Now, before I get nasty comments, I know these are not all Eastern European countries, but have you tried to find a good tasting sample for this region? One of the most confusing things for some of the tasters had to do with the discussion of German wines, and how to tell if they were sweet or not. 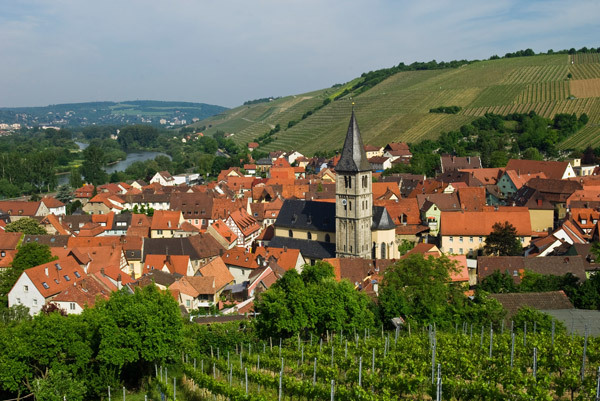 While it can take years of tasting and studying, I will attempt to give a simplified explanation of German wine laws and labels, that should help you when shopping for a nice wine to pair with your next dinner. As in other European countries, German wines are divided into two classes: Table Wine and Quality Wine. Since most of the Table Wine is not available in the United States, we will concentrate on the Quality Wine (Qualitätswein). There are two categories of Quality Wine: Qualitätswein bestimmter Anbaugebiete (QbA) and Prädikatswein (formerly known as Qualitätswein mit Prädikat or QmP). QbA wines are probably the easiest to understand. These are quality wines from specific regions (anbaugebiete). 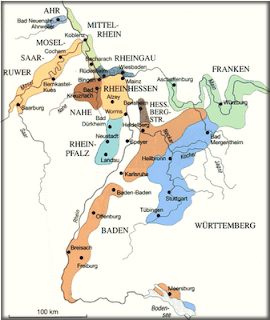 There are 13 quality regions in Germany: Ahr, Mosel, Nahe, Rheingau, Rheinhessen, Paflz, Baden, Franken, Württemberg, Mittelrhein, Hessische Bergstraße, Saale-Unstrut, and Sachsen. In this Quality Wine category, the wines must all be made within the region designated on the label, and have a minimum natural alcohol content of 7%. These wines are allowed to be chaptalized (the process of adding sugar to bring up the alcohol levels or sweetness). QbA wines represent the highest level of quality in German wines. These are "Quality Wines with Special Attributes". This is where it gets a little more complicated...the special attributes are based on the amount of sugar in the juice of the grape at harvest. In the United States, we refer to this as Brix, while in Germany it is measured in the degrees of Oechsle. Prädikatswein range from dry to extremely sweet. The different Prädikat designations used are (in order of increasing sugar levels): Kabinett, Spätlese, Auslese, Beerenauslese (BA), Eiswein and Trockenbeerenauslese (TBA). In general terms, Kabinett is considered fully ripened, from the initial harvest. Spätlese is considered "late harvest". These will have more body, and fruit than a Kabinett, but may or may not be sweeter than a Kabinett. 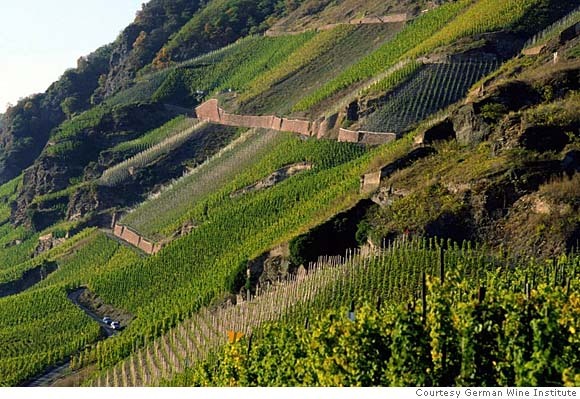 Auslese translates to "select harvest" and consists of individually picked bunches of grapes. This level can span the range of dry to sweet. The next three levels are dessert wines. Beerenauslese translates to "select berry harvest" made from individually selected overripe grapes commonly affected by botrytis (noble rot). 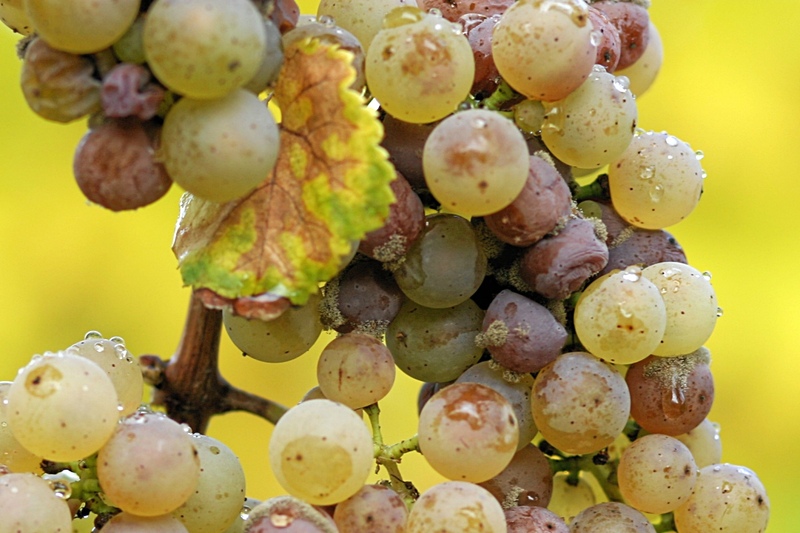 Eiswein is made from grapes that have naturally frozen on the vine, concentrating the grape sugars. Trockenbeerenauslese means "select dry berry harvest" made from selected overripe shrivelled grapes, which produce extremely rich sweet wines. These are only produced in the finest vintages, and can be some of the most expensive wines in the world. QmP wines are not allowed to be chaptalized and must be produced from allowed grape varieties in one of the 39 subregions (Bereich) of one of the 13 wine-growing regions. Next week, we'll take a look at how to read a German wine label. These wine labels give more information that any other wines in the world, but can also be the most confusing. 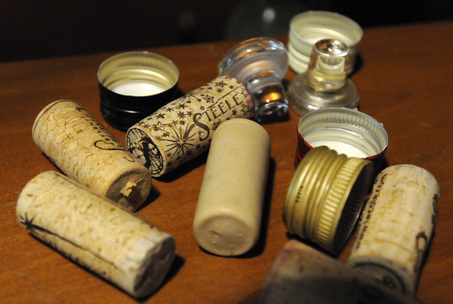 The last two weeks, we looked at two of the most common wine stoppers: cork and screwcaps. It seems like there certainly is a variety of opinions. Many of you feel that cork is the only way to go, while others have had too many problems with “cork taint” and swear by screwcaps. The bottom-line seems to be the integrity of the wine, and how the closure affects the final product. Because of this, manufacturers have come up with some other options. Let’s take a look at synthetic, glass, and some new ideas. Synthetic corks are made of plastic compounds. The production methods are either through injection molding, or extrusion. Through these processes, the manufacturer can actually duplicate the cellular structure of natural cork, and mimic the oxygen exchange rates. 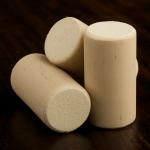 They offer the advantage of no cork taint, and also the “romantic” pop of the cork. I find that most synthetic corks are difficult to remove from the bottle, and sometimes hard to recork if (on that rare occasion) I don’t finish off the bottle. Glass stoppers (also known as “vino-seal”) are another option. I remember the first time I encountered one of these. I was cutting the foil, and my blade went all the way in, and I thought, “wow, that is a really bad cork”. When I pulled the foil off, I saw a glass stopper, with a small bead of silicone, similar to a gasket. These stoppers do seal the wine well, and are very easy to open and reseal. They are recyclable, but are pretty expensive versus other closures, so haven’t caught on as fast. There is a new closure that I saw for the first time, just a couple weeks ago. It is called a ZORK closure. I have not used one yet, but I understand that it offers the ease of opening, like a screwcap, and the pop of a cork. 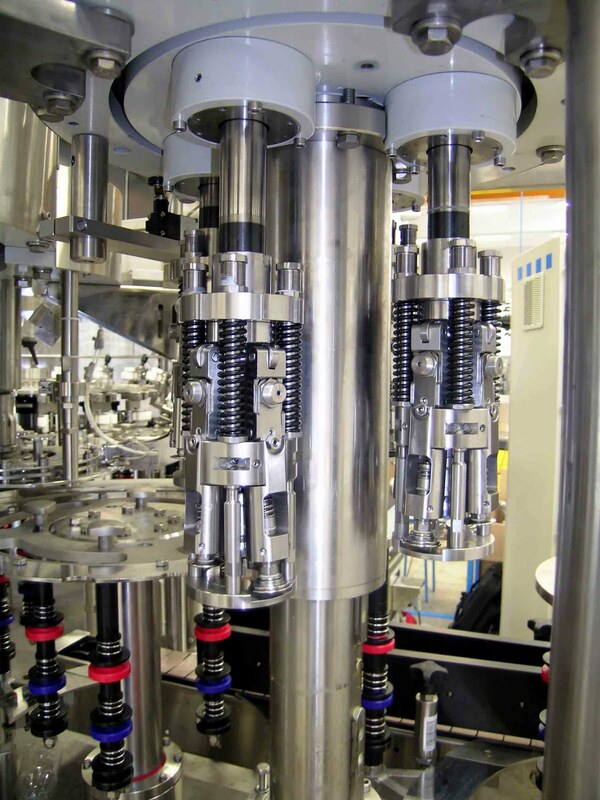 It consists of three parts; an outer, tamper resistant, cap; an inner metal foil which provides an oxygen barrier; and an inner plunger which creates the pop when opened. Cork – Traditional closure. Natural, renewable resource. Biodegradable and recyclable. Good oxygen exchange. Cork taint (TCA). Screwcaps – Practical. Easy to open. Recyclable. Synthetic – Recyclable. Possible oxygen exchange. Sometimes tough to remove from bottle. Might impart chemical flavors to wine. Glass – Recyclable. Limited, or no, oxygen exchange. Easy to open and reseal. Expensive. For me…I still like cork stoppers. What are your thoughts and experiences? Last week we took a look at the traditional wine stopper: cork. With the onset of cork taint, winemakers have been trying to find a way to preserve, and seal their wine bottles. We’ve seen box wines, which are basically bags of wine, affixed with a pour spout and inserted in cardboard boxes. We’ve seen metal, glass and plastic enter the market. In today’s blog, we look at screwcap wine stoppers. 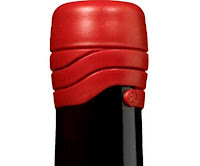 I must admit that I was one of those wine consumers who had a tough time adjusting to a screwcap (also known as a Stelvin closure) crowning the top of my wine bottle. But, if you wanted to buy Australian or New Zealand wine, your choices were limited. Sure, I could pay a small fortune for Penfolds Le Grange, and still get a cork, but that wasn’t the point in trying these new world wines. What was my problem with the screwcap? It took the “romance” out of opening a bottle of wine. I like to hear the pop of the cork. I like using my corkscrew. I like collecting corks from those wines I have enjoyed. Screwcaps have actually been around since the 1960’s, and were originally associated with cheap, skid-row wines. Remember Thunderbird? They grew in popularity when Australian winemakers were searching for a new closure that would protect their wines from cork taint, and oxidation. Australian wines were known for their fresh, fruit forward wines, and any oxygen transfer (which might occur with cork) would diminish what the winemaker was attempting to present. 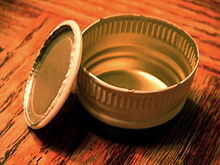 Screwcaps are made of metal, typically aluminum. 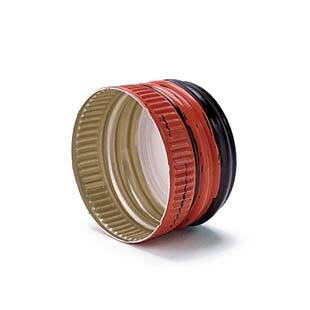 The metal cap is made to look like the traditional foil, or capsule, found on cork enclosed bottles. 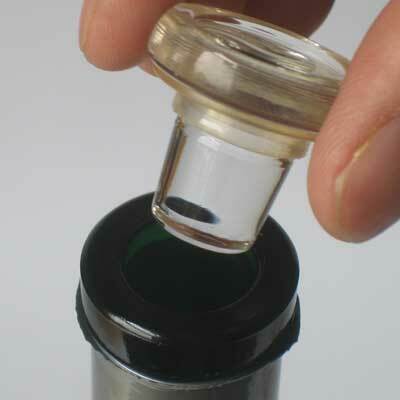 Inside the metal screwcap, is a liner of plastic, which, when tightened down, seal the wine in the bottle. 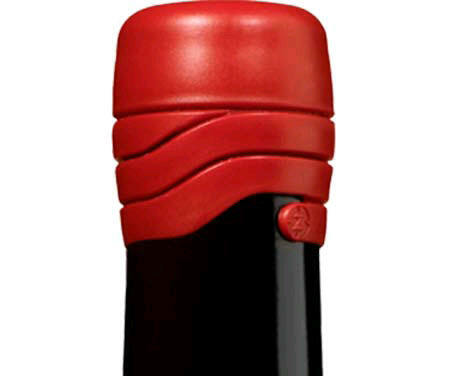 So, beyond the cork taint issue we have already discussed, what are the advantages and disadvantages of the screwcap? Obviously, they are easier to open. When you are without a corkscrew, you don’t have to get creative (yes, I’ve seen the Youtube video of the guy opening a bottle with his shoe). However, there are concerns about long-term aging. Since there is limited, or no air exchange, the wine in the bottle may not age properly, and might even develop off aromas and flavors. This is nothing to worry about if you have a wine that is meant to be consumed early (usually fruit-forward, fresh wines)… and screwcaps have that "cheap" image to overcome. Sommeliers have an entire “protocol” to attend to when opening a bottle of wine, but when it comes to screwcaps, that is all thrown out the door. I’ve heard (not actually tried) a new approach to opening a bottle with a screwcap: grip the bottom of the screwcap, and crack the seal, then, starting on your upper arm, roll the top of the screwcap/bottle down your arm where the top of the cap will then end up in the palm of your hand. You may want to practice this with a non-white long sleeve shirt a few times, before attempting in front of your friends. What are your thoughts on screwcaps? Next week, we’ll take a look at glass, synthetic stoppers, and come to some possible conclusions about what is best.